Women in Science and Engineering (WiSE), a program supporting the excellence of women in STEM (Science, Technology, Engineering, and Mathematics) at Syracuse University, is hosting Kelly Benoit-Bird, senior scientist at the Monterey Bay Aquarium Research Institute (MBARI), as the invited lecturer for the 13th annual Norma Slepecky Memorial Lecture and Awards Ceremony on Monday, April 22. Her presentation, “Echoes from the Deep,” is at 3 p.m. in Grant Auditorium. It is co-sponsored by the Department of Biology in the College of Arts and Sciences. Benoit-Bird is a MacArthur Fellowship recipient (2010). Her research at MBARI, focusing on the sea’s food paradox, is changing our understanding of how ocean animals—including zooplankton, fish, squid seabirds and marine mammals—make their living from the ocean’s surface to the deep sea. “These small aggregations provide the key to solving experimentally demonstrated feeding paradoxes as well providing a mechanism for evolution in an isotropic environment where there are no obvious barriers to gene flow, Hutchinson’s ‘Paradox of Plankton,’” says Benoit-Bird, who earned a B.S. in aquatic ecology at Brown University and a Ph.D. in zoology at the University of Hawaiʻi at Mānoa. 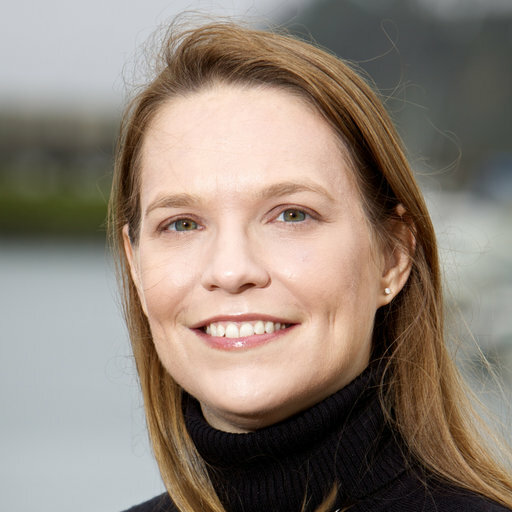 Her collaborative, interdisciplinary approach to understanding ocean ecosystems combines acoustic technologies with other tools, including optical sampling, animal tagging and behavioral modeling. Just as prominent as her research into the food paradox is her advocacy for young girls pursuing a career in STEM fields. Her passion, from a young age, is drawn from her fascination with sea creatures of all sizes. “It is important for girls to see and talk with women who have made a career in STEM,” Benoit-Bird says. WiSE, part of the Office of Academic Affairs, was founded in 1999 with three key goals: increase representation and retention, highlight women scholars through a lecture series and develop advising/mentoring programs. As an interdisciplinary organization with a strong grassroots constituency in women faculty in STEM, the program has grown considerably over the years. Its distinguishing feature is that it is faculty led and driven. WiSE’s mission remains to support the persistence and excellence of women in STEM by capitalizing on their unique strengths, maximizing opportunities to connect, and addressing challenges experienced by women undergraduates, graduates, postdoctoral fellows and faculty in STEM. Norma Slepecky was a distinguished auditory neuroanatomist and member of the Institute for Sensory Research at Syracuse University. Slepecky was a passionate researcher and an advocate for undergraduate student research. She frequently mentored undergraduate students seeking research experience. She also strongly supported efforts to increase the number of women in science and engineering and hoped that her legacy, with the support of the endowment, would continue to encourage young women to conduct research. With her enthusiastic approval, her family, friends and colleagues upon her passing in 2001 endowed the Norma Slepecky Memorial Lectureship and Undergraduate Research Prize. This story was written by Newhouse School graduate student Janet Diane White.